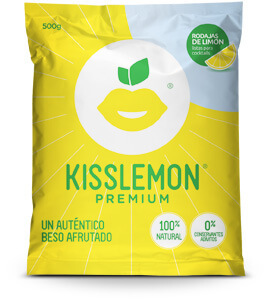 In one of the most beautiful areas in Spain, the best lemons, oranges and limes are growing, on ecologically plantations. 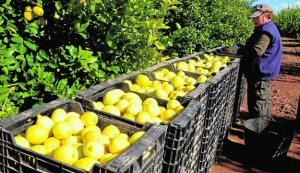 Though its variety (Fino, Verna, Rodrejo, Segundo and Macrofila tradicional), the citrus fruits are harvested all year round. Harvvesting is done by hand wenn the fruits are quiet ripe. 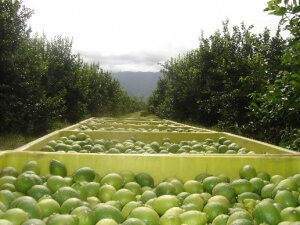 The pickers only chose the best fruits, without any optically flaw and in a perfect maturity. After harvesting in further steps, the fruits are handled carefully, so that no pressure points or other damages con occur on the fruits. The production is not a great mystery, but the result of a good knowledge about the behavior of plant tissues. 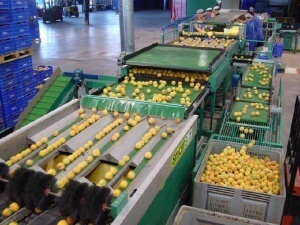 In the first step the fruits are cleaned and then separated into perfect slices. Then in a special treatment, the slices are deep frozen so that the cell walls do not burst. During all these stages of production we never use any chemical substances. When the freezing process is finished, the fruits were packed into bags with 1/2 kg, 1 kg or 5 kg and prepared for distribution. You can find the finished fruit slices in the freezer of any well-assorted specialist supplier. Take a packed home and your next party will be really fantastic, with the frozen fruit slices from KISSFRUIT.